Recently retired yokozuna Kisenosato showed little emotion on the raised ring, but he has since revealed that the final days of his injury-troubled career were anxious ones as he tried to prove he belonged at the sport's highest rank. But looking back on his 17-year career, the 32-year-old, who remains in the sumo world as elder Araiso, said it was something he would not trade for anything else despite his regrets about retiring earlier than he had hoped. "As Kisenosato I have no regrets. 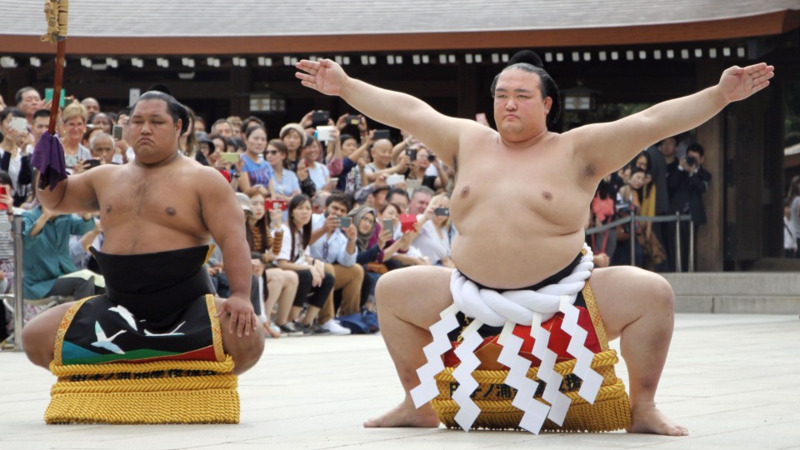 As a sumo wrestler, I did everything," Araiso told Kyodo News in a recent interview. "I love sumo, so I'm sad that I can no longer compete. I wanted to do it until I was 40 years old." Araiso won the hearts of sumo fans as he became the first Japanese-born wrestler in 19 years to top the banzuke rankings. But a string of injuries forced him to pull out of eight straight tournaments due to injury, a record for a yokozuna. He announced his retirement after suffering three straight losses to begin last month's New Year Grand Sumo Tournament, which he entered with his career on the line. "I usually fall asleep in two seconds when I lie down on a futon, but the night before the (New Year) tournament I couldn't really sleep," he said. "I woke up from a dream where I was buying a suit, saying 'It's wrong, it's wrong. It's no good, it's no good." Although he told reporters before the tournament he was in good shape and ready to compete, Araiso now admits his words were hollow, a way to keep himself together and look past the peril of his situation. "I was intentionally saying something positive, but perhaps I was in denial. I was afraid I might no longer be able to compete in the sport I love, and there were nights accompanied by sighs." The former Tagonoura stable wrestler made his debut in 2002 and was the second-youngest wrestler to reach the elite makuuchi division. Once there, he quickly established himself as a solid competitor, but spent over four years bouncing between the rank-and-file maegashira slots and the komusubi and sekiwaki rankings. Araiso then spent 31 grand tournament as an ozeki, repeatedly unable to take the last step to yokozuna promotion. He finally crossed that line in January 2017. After winning his first grand tournament, he ascended to the sport's ultimate rank. But his career made an unexpected turn at the 2017 March meet, his first grand tournament as grand champion. He sustained a left chest muscle injury on the 13th day of the meet, but kept competing en route to winning his second-straight championship. Araiso wrestled at the following grand tournament in May but pulled out having aggravated the injury and sustaining another on his left arm. He only completed one meet, the September tournament last year where he went 10-5, before announcing his retirement. "Since I only missed one day up to that point, resting didn't cross my mind," Araiso said. "If I could turn back time, I want to go back to April two years ago. I should have thought more carefully about whether or not to undergo surgery." Since his dominant moves were from the left side of his body, the injury was a huge blow to his career. "My left chest muscle became weak after that injury, and my opponents were able to easily escape my attempts for a hold. My physician proposed an idea to tape up the affected area, but I didn't want people seeing me like that," he said. "The injury limited my range of motion and I wasn't able to do the things I'd easily done before." 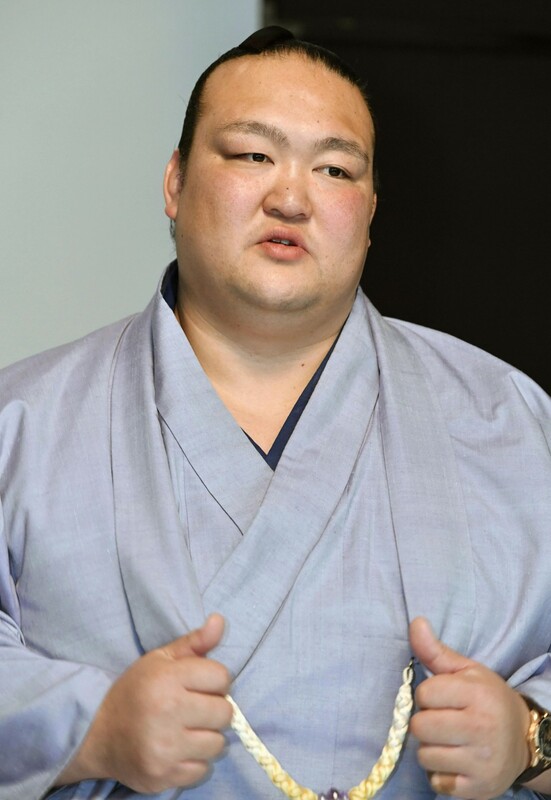 Despite only a brief time at yokozuna compared to the current grand champions -- Mongolians Hakuho and Kakuryu, Araiso said tasting the top of the banzuke rankings was something he cherished. "Although it took me 15 years to become a yokozuna, these last two years have felt almost just as long. A yokozuna is special. It's a completely different world," he said. Now that his days as a competitor are over, he considers coaching wrestlers, including his former stablemate ozeki Takayasu, a new chapter. While he was a man of few words as a wrestler, Araiso said he must change in his new role. He asserted that studying outside the ring is a possible key to success as an elder, adding his room is filled with cardboard boxes holding philosophical texts, novels and motivational books. "It's different from my wrestling days. From now on, if I can't express my principles and opinions, I don't think parents will entrust me with their children. I think it's important to communicate," he said. "I have an image of sumo wrestlers from the old days. I want to train wrestlers who are known as silent competitors, who remind you of the wrestlers of the Showa era."